New Norfolk NEWS: Sold! Who can it be? 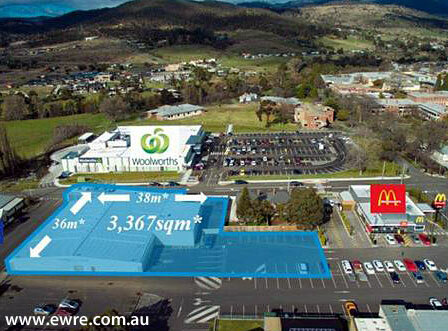 AFTER more than two years on the market, the former Woolworths supermarket in New Norfolk has reportedly been sold. Vacant since the business moved to its new premises across the road in April 2015, the old supermarket was originally put up for sale by expressions of interest. Most recently, the 1800 square metre building on its 3367 square metre site was offered for sale or lease by Edwards Windsor Real Estate, who said the location was ideal for a large retailer, or alternatively for developing into smaller retail premises, on a prominent corner opposite the new Woolworths supermarket, next to McDonalds and adjacent to Mitre 10. While the price and the identity of the purchaser have not yet been disclosed, the most recent asking price of $650,000 was well below the the $1.1 million achieved in 1987 and $1.65 million in 2002.